Promoting Enduring Peace has set up a “Freedom to Travel” committee to pressure the Israeli government to allow one of its Gandhi Peace Award winners to travel to the United States. 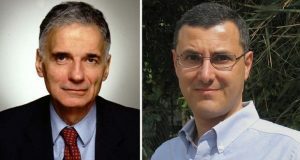 At a telephone press conference the 64-year-old peace and environmental group announced the Gandhi Peace Award will be given jointly to Ralph Nader (pictured on the left) and Omar Barghouti (right) at a ceremony in New Haven in April 2017. Ralph Nader is known for over five decades for his consumer and civic activism and for being among the first nationally known figures to criticize Israeli abuses and to speak up in support of the Israeli peace movement. 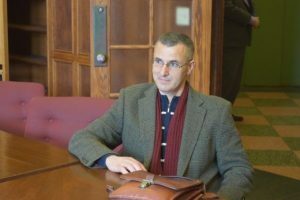 Omar Barghouti is one of the best-known leaders of the BDS (Boycotts, Divestment and Sanctions) movement which calls for economic pressure against Israel until it withdraws from the land it occupies, gives full civic equality to Palestinians citizens inside Israel and allows Palestinian refugee families their right to return to their homeland and homes. The Israeli government has refused to renew Barghouti’s travel document and he is effectively banned from leaving Palestine/Israel. Vilkomerson said JVP would be working with PEP and other groups to restore Barghouti’s ability to travel and to come to the U.S. to accept the award. Those interested in working on the “Freedom to Travel” committee should write to office@pepeace.org. A recent TSVN You Tube interview with Barghouti can be heard by going to http://www.pepeace.org. Dr. Rothchild has practiced ob/gyn for almost 40 years and served as Assistant Professor of Obstretics and Gynecology at Harvard Medical School. She is a first-generation American who grew up in a middle-class Jewish family in the Boston area. She grew up with the narrative of Israel as a haven for Jewish “victims,” as a democratic state in the Middle East surrounded by hostile Arabs and Palestinians. Only when she was in college did a friend cast doubts on this view. Dr. Rothchild was inspired by this friend to do some serious research—on colonialism, imperialism, and U.S. and Israeli history—especially about the 1948 Palestinian “Nakba” in which many Palestinians were killed by Israelis and many more became dispossessed refugees. Eventually Dr. Rothchild joined Physicians for Human Rights on a journey to Israel and Palestine to see for herself the conditions there and to work in clinics, especially in Palestine. Since then she has gone annually to travel around, to work in clinics, and to speak with Palestinians and Israelis about the deteriorating physical situation in Palestine (the Wall, the increased Israeli settlements on Palestinian lands, the checkpoints, the housing demolitions, etc.). She emphasized she is not criticizing Jews as Jews but rather the policies of the Israeli government. When she has attempted to speak about her experiences here in the U.S., she has frequently been harassed or her talks have been cancelled. But she remains optimistic because more and more Americans and Israelis are finally speaking out against Israeli government policies. Dr. Rothchild also pointed out the affinity between Black Lives Matter and the Palestinian situation. Both are met with increasingly militarized/weaponized responses. The final irony: many of the U.S.’s police departments are even trained in Israel or here by the IDF. She was also troubled that none of the current presidential candidates, except Dr. Jill Stein of the Green Party, were even talking about Israel/Palestine. Asked about BDS, she responded that the U.S. provides $3 billion a year to Israel—a population of 8.2 million—the largest recipient of U.S. foreign aid. The American taxpayer has some responsibility for Israel’s oppression of the Palestinians. Moreover the non-violent BDS is supported by the Palestinians and seems to be having an impact on the Israeli government. Dr. Rothchild has directed a documentary film “Voices Across the Divide,” and has written several books and articles on her experiences. On Saturday, July 30, the Seventh Annual Potluck Picnic of the Israel/Palestine Peace Group of Northeastern Connecticut starts with a picnic at 4 p.m. 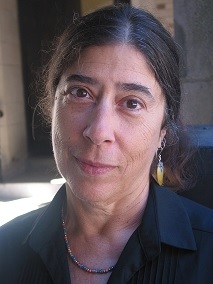 The featured speaker, Alice Rothchild, physician, author and filmmaker, has focused her interest in human rights and social justice on the Israel/Palestine conflict since 1997. She will talk about “A Personal Journey: Facing Historical and Ethical Challenges in Israel/Palestine,” at 6:30 p.m. at the home of Joyce and George Rawitscher, 343 Codfish Falls Road, in Storrs. The public is welcome. Dr. Rothchild practiced ob-gyn for almost 40 years. Until her retirement, she served as Assistant Professor of Obstetrics and Gynecology, Harvard Medical School. She writes, blogs, and lectures widely, and is the author of Broken Promises, Broken Dreams: Stories of Jewish and Palestinian Trauma and Resilience, and On the Brink: Israel and Palestine on the Eve of the 2014 Gaza Invasion. 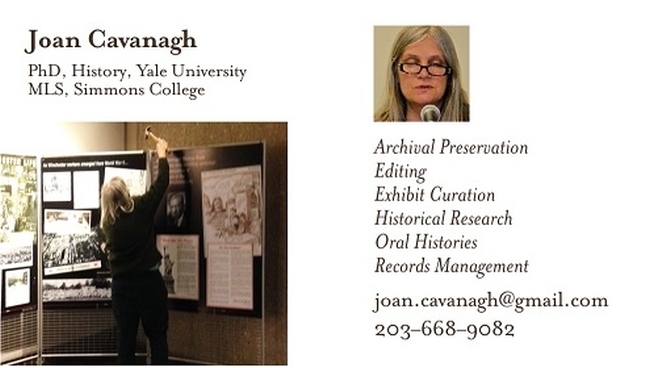 She directed a documentary film, “Voices Across the Divide,” and is active in Jewish Voice For Peace. Condition Critical: Life and Death in Israel/ Palestine will be published in early 2017.